Toddlers look cuter than buttons in these little things! Goo goo ga Goner! 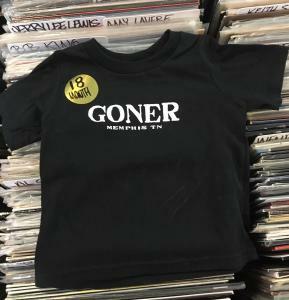 CLASSIC WHITE ON BLACK GONER SHIRT... FOR KIDS! PRECIOUS CARGO brand 100% Cotton. Made In Honduras.